Hello everyone! 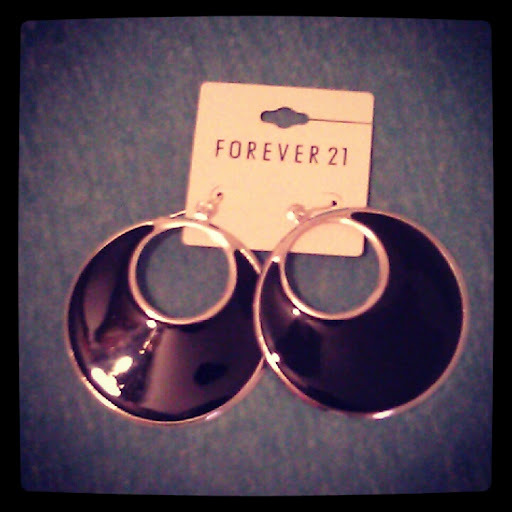 I decided to get my DIY on with these earrings I purchased from Forever 21. I painted them with one coat of Spoiled by Wet n Wild in Jewelry Heist. 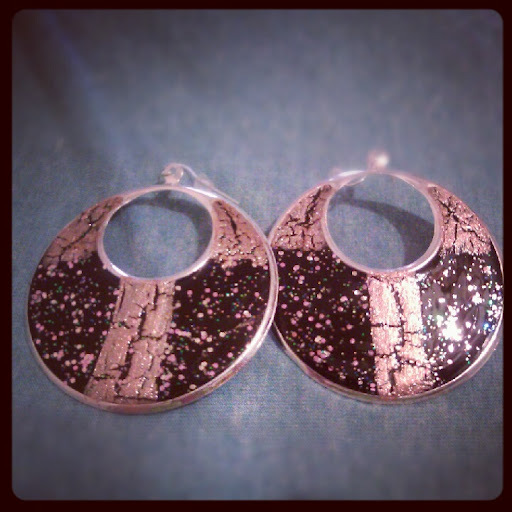 This is such a pretty glitter combo , as you can see it really pops over black! It is full of tiny square iridescent glitter and pink/iridescent hex glitter. Then I added China Glaze's Cracked Medallions ( a coppery crackle) as an accent in the corners and a stripe down the middle. I then followed with a coat of Seche Vite and my earrings were ready to go! I'm honest, that all there was to it! I'm totally in love with how these came out, it's like galaxy nails lite, haha. I'm considering buying more of these earrings just to see what other combos I can come up with. What do you think? And because I need to keep up with the liquor component of this blog ( I haven't forgotten!!! 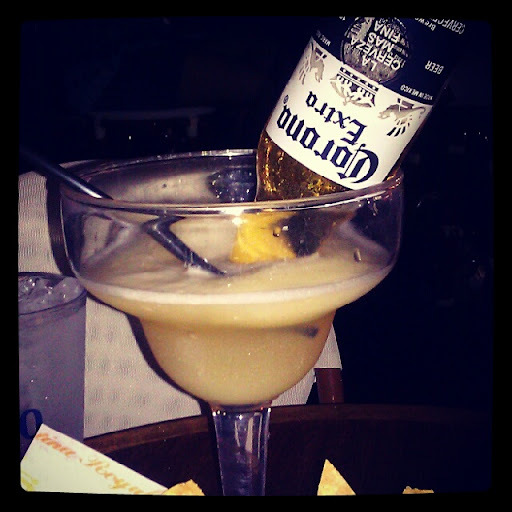 ), let me include a pic of my latest libation: a lime beergarita. It was frozen goodness, and the ber kept it from being too sweet. The photo may make this look small, but trust me this was huge!!! A friend and I went over to Lucy's Cantina Royal to ring in my birthday. They have a pretty extensive tequila list which is always nice. It's smack in the middle of New York City, seating on the rooftop, you totally forget the crazy city around you. Do you ever DIY your own jewelry? I'd love to see some examples below, feel free to leave links to DIY posts! Thanks, it was so easy! I would have never thought to mix nail polish and jewelry! So clever!!! Great job! thanks, let me know if you try it out! I've also done the same to the plastic rings that come with Hard Candy polishes. You made those earrings look amazing girl! Thanks, I think I'm going to keep do this to jewelry, I've definitely got polish to spare, haha. And as for the margarite, this is really easy to recreate if you already have frozen mix handy.